Looking for a real challenge? 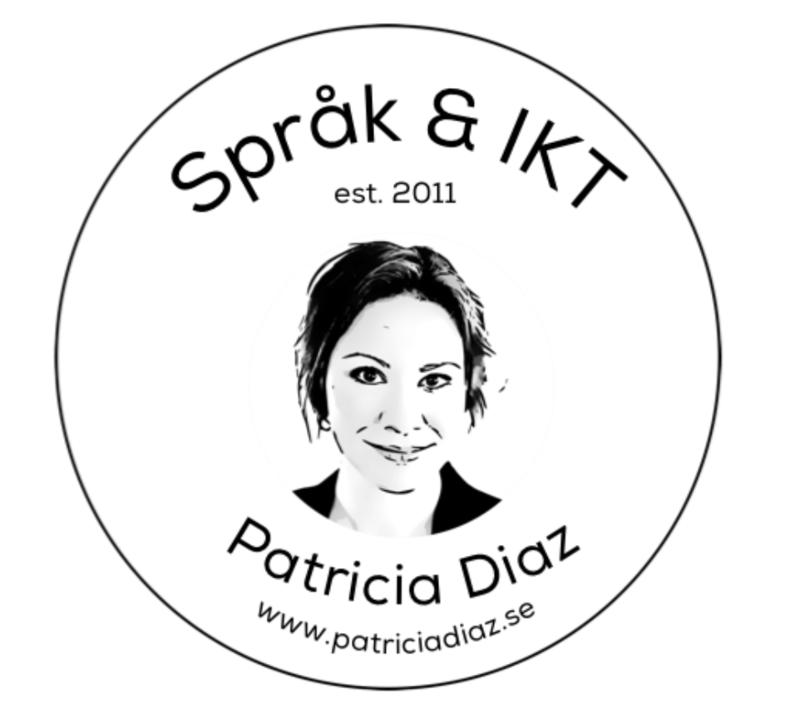 Why not try the tests for becoming an interpreter or translator for the Swedish public authority Kammarkollegiet that are to be found on this webpage? Need help with spelling? Here is a compilation of 25 iPad Apps for Learning Spelling (different levels). Here is the Oxford Dictionaries’ Compilation of Spelling Rules and Tips. A lot of students struggle with the subject verb agreement. Check out this video clip from smrt English to get a better understanding. Try these exercises on subject verb agreement from Espresso English. Grammar Bytes is a great website that is packed full of teaching materials teachers can use to teach grammar.Grammar Bytes provides a glossary of common terms, fun interactive activities and exercises for students to test their grammar knowledge,instructional presentations and tons of tips on teaching grammar. Road to Grammar is a free website that provides a wide vareity of resources for teaching grammar. These resources include lessons, quizzes, and games. It also features a section called ”downloads” where you can download free materials to use in your class. Grammar Gold provides grammar practice for grades 1 to 5.You can click on any of the grades to access the grammar lessons it features. Each of these lessons includes a quiz that students can take to test their grammar knowledge related to that lesson. 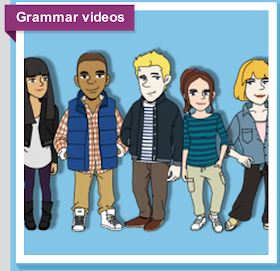 Grammar Snack provides short videos illustrating how grammar is being used in real life situations. It also provides conversation style explanations and interactive exercises to check students comprehension of language. 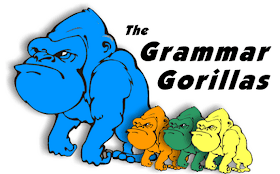 Fun Brain Grammar Gorillas is a website that provides fun interactive grammar exercises to students to help them improve their grammar skills. The site is mostly relevant for primary and secondary students. Grammarly Handbook features a variety of grammar lessons covering different topics such as adjectives, nouns, prepositions, verbs, interjections, punctuations, writing mechanics,and sentence style and sentence clarity. The lessons are explained in a clear and easy to grasp language illustrated with several examples. Brain Pop Grammar is another wonderful website that offers grammar lessons and activities it help students polish their grammar skills. The content is neatly organized into separate categories with an easy navigation layout. Want to improve your grammar skills? Follow the links below and practice, practice, practice. Almost everyone has problems with the subject-verb agreement. On this site you can read everything about it and also do three different quizzes about the subject-verb agreement. 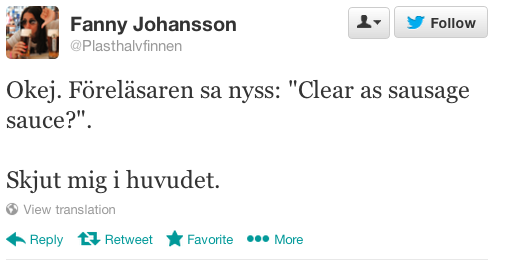 Quiz 1, quiz 2, quiz 3. There is also a downloadable Power Point presentation if you want to learn even more. Selingua – a free language learning program. Oxford Practice Grammar – take a test to find out what grammar you need to practice. EF Education First – A free test of your English. Appia’s diagnostic tests – Basic, intermediate or advanced grammar check. Activities for ESL students – quizzes, tests, exercises and puzzles to help you with your grammar. Grammar Bytes! Grammar instructions with attitude. Paul Brian’s list of common errors in English usage. Learn about the passive voice in this video from Videovocab. 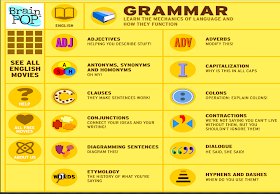 English Daily – grammar exercises. English Zone – more grammar exercises.